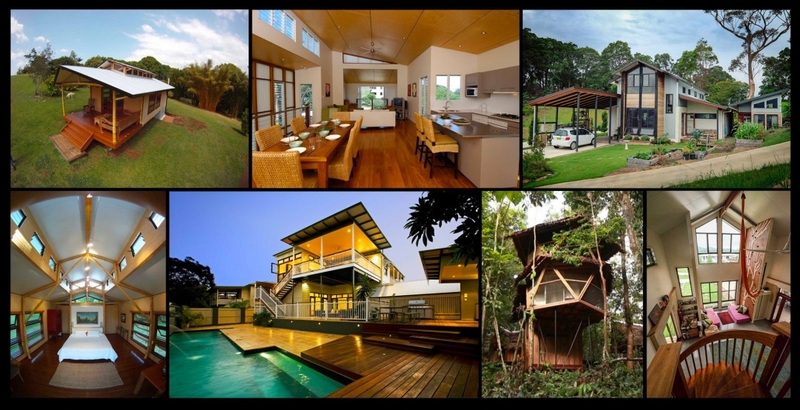 We provides professional architectural and permaculture design services to residential and community-based projects with a focus on a holistic approach seeking sustainable building solutions. We aim to provide exceptional customer service and deliver solutions that support your unique lifestyle. All services are tailored specifically to your needs. Reduce Operating And Cooling Costs By Designing Your Dwelling Based On The Latest Natural Passive Heating And Cooling Systems Available. Reduce Lighting And Energy Costs By Maximizing Natural Day Lighting And The Use Of Energy Efficient Lighting And Appliances. Reduce Construction Costs By Detailing To Minimize Wasted Building Materials And Source Recycled Materials Where Appropriate. Reduce Water Costs By Detailing Water Saving Devices And The Installation Of The Most Efficient Water Harvesting Techniques Available. Create A Healthier Environment By Selecting Non-Toxic Finish Products And Materials. Implement Self-Sufficient Systems Where Appropriate, For Example Onsite Waste Treatment Systems And Standalone Grid And Interactive Power Systems. The Typical Services We Offer Are As Follows. These Are Tailored To Suit Each Individual Client’s Needs. Develop A Brief In Conjunction With You, Ensuring Your Specific Needs Are Addressed. Prepare Preliminary Conceptual Sketch Designs For Your Input And Review. Prepare Coloured Sketch Drawings And 3D Models Enabling You To Visualise The Final Product, Ensuring That You Receive What You Expect. Prepare Colour Schemes To Suit Your Image And Style. Prepare Detailed Drawings And Specifications Reflecting Your Specific Requirements. Provide Advice On A Selection Of An Appropriate Building Contract, Ensuring Your Interests Are Protected. Co-Ordinate Engineering Services Consultants Ensuring A Fully Integrated Solution To Your Needs. Submit Drawings For Local Authority Building Approval, Assuring Your Project Complies With Up To Date Building Regulations. Prepare An Energy Assessment Using BASIX Or Nathers To Ensure That Your Dwelling Meets Required Energy Ratings For Heating And Cooling. Arrange Competitive Pricing From Reputable And Reliable Certified Builders. Assess Tenders And Make Recommendations, Enabling You To Make Informed Decisions. Prepare Contract Documents And Co-Ordinate The Signing Of Building Contracts Saving You Time.